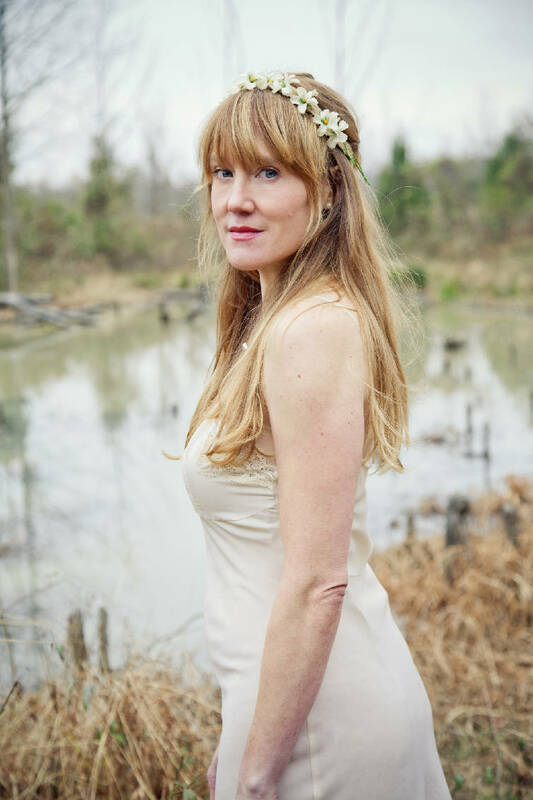 Singer-songwriter Angela Easterling's music is often described as "rootsy" by reviewers — and she loves that. "I am all about roots. The roots of our history, our music, the roots of the land," she says. That she revels in these links to the past comes as no surprise considering she lives on a South Carolina farm that has been in her family since 1791, residing in the farmhouse built by her grandfather. But when it comes to her music, Easterling captivates listeners with insightful, often funny, lyrics about present-day life. She will be in town this weekend performing with Brandon Turner, her partner in life and music, at three gigs over Saturday and Sunday, Aug. 5-6. Fans can catch her either at Chattanooga River Market at the Tennessee Aquarium Plaza on Saturday at 12:30 p.m., Charles & Myrtle's Coffeehouse on McBrien Road Saturday at 8 p.m. or Chattanooga Market at 12:30 p.m. Sunday. She talks about her musical influences and her autobiographical album and its title track, "Common Law Wife." Q: Was the intention of "Common Law Wife" to be a sassy comeback to people who would criticize living together? A: I was not necessarily trying to make a 'comeback,' just present an open-book slice of my real life. I was thinking about the fact that I am a "Common Law Wife" and that just seemed like it had to be the title of a country song. Stylistically, the song was very influenced by Loretta Lynn, and I would definitely say that is where the sassiness comes from! This is my life and I'm happy and my family life is a happy one. Q: Did you write all the songs on "Common Law Wife?" What inspires your songs? A: Yes, I wrote all of the songs on the album. My inspiration comes from my life: motherhood, partnership, my family's history, my family's farm, etc. I am very drawn to write about history and how it relates to present-day issues, as well as social topics that interest me. Q: Did you have a particular message you wanted to accomplish with the album? A: Recording this album, I wanted to have real people playing real instruments, nothing electronic kind of stripped down, nothing too extraneous or over-produced. While I do play with a full band sometimes, I also play lots of shows either solo or duo. I wanted the songs to still sound like me live and be recognizable to people who may have seen my solo or duo show. Q: Your family has owned the same land for 200 years. Does that heritage inspire your songwriting? A: I live on my family farm in a house built by my World War II veteran Grandpa, a lifelong farmer. He is not with us anymore, but everywhere I look I see the work of his hands. Thinking about him and the generations of my family that came before, as well as wanting to contribute to that legacy for future generations, definitely inspired (the single) "Hammer." This farm inspires much of my writing on many of my albums. I have several songs about it on previous albums — about us trying to keep it in the face of widespread real-estate development in this area. I did not grow up on the farm ... Brandon and I moved to the farm when we found out we were expecting our first baby. Now our two sons are the 10th generation of my mom's family's descendants to be on this land. › Where: River Market, Tennessee Aquarium Plaza, 1 Broad St.
› Where: Chattanooga Market, First Tennessee Pavilion, 1829 Carter St.